Like most trainers, in our course we have always devoted considerable time to the important subject of crate training. Recently we heard of a new twist on crate training: the Potty Training Puppy Apartment (PTPA) from Modern Puppies. Because we always do our best to keep informed on the latest research, methods, and products relating to dog training, we contacted the company and asked them to send us a PTPA so we could test it for inclusion in our course. Fortunately, this little darling, Wendy, was soon due to arrive at the home of one of our course editors, so we had a perfect opportunity to test out the PTPA on a new puppy. 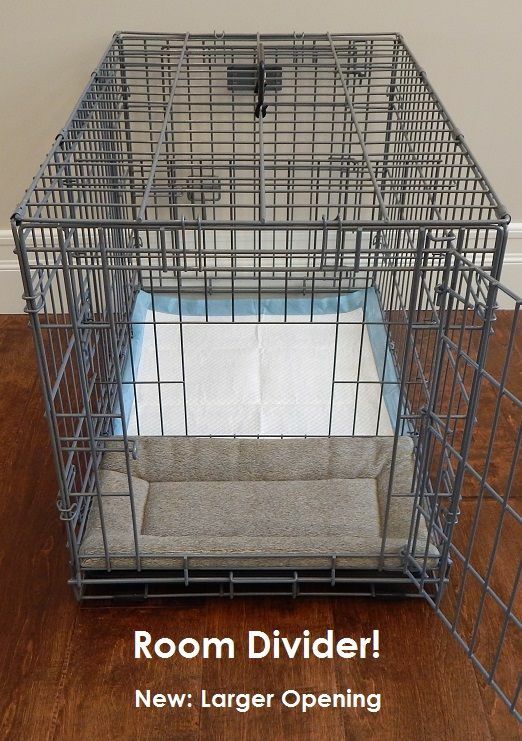 The PTPA looks like a sturdy, standard-issue metal dog crate with one important distinction: it has a movable partition with a little open door in it, effectively creating two rooms inside the crate. The bigger room, fitted with a potty pad, becomes your puppy’s bathroom, and the smaller room, with a sleeping cushion, functions as your puppy’s bedroom. The idea is for the puppy to learn to potty on the potty side so that he or she will always have a bathroom inside your house or apartment. This can function in conjunction with normal outside potty training, or in some cases, be the primary place for the puppy to eliminate. 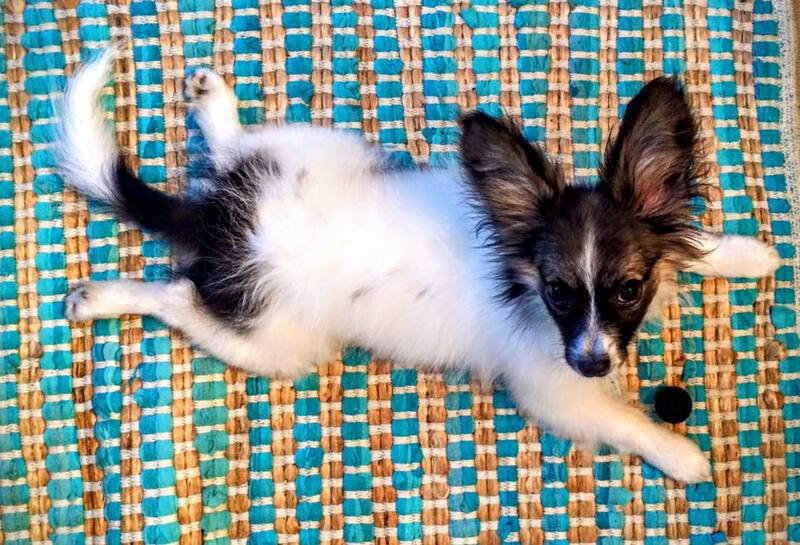 We faithfully watched the 45 minute video that came with the PTPA and used it as our primary potty training method for Wendy, the sweet papillon puppy pictured above, during her first few months at her new forever home. The takeaway: the PTPA definitely made the normally exhausting first few weeks of puppy parenthood easier. Wendy slept peacefully in her PTPA next to our editor’s bed almost from the beginning, and just like in the video, she would quietly get up a few times in the night to eliminate in the bathroom area of her PTPA, and then return to sleep in her bedroom section. While 6-month old Wendy has since graduated to sleeping in Mommy’s bed, she still feels most comfortable confined to her PTPA when left alone at home for a few hours, and it’s nice to know that she’s not forced to hold her bladder. Especially with small breed puppies, even 3-4 hours without pottying can be too much for quite a while, so it’s nice to have a structured way for them to eliminate that minimizes mess and confusion. Daytime potty training with the PTPA had more mixed results. 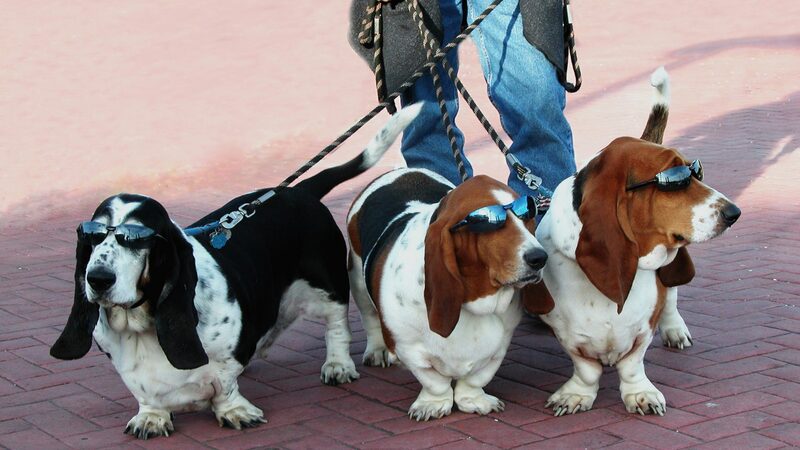 Wendy was resistant to pottying inside the PTPA during the day time, no matter how many treats she was offered. In the end, outside potty training was much more successful, as she seemed to prefer pottying as far from her sleeping area as possible, and the PTPA bathroom and bedroom are of course right next to one another. It should be noted that papillons are notoriously capricious and difficult when it comes to potty training, so other breeds might take to it more readily. Still, the PTPA is our solution for when she needs to be home alone. For this purpose, the fact that the PTPA readily and securely attaches to an X-Pen definitely makes a nice, easy set-up for when a dog that can’t be given the run of the house must be left home alone. The PTPA is probably not the best choice for all breeds (and in fact, for larger breeds the sheer size of it might make it impractical). It is also likely not necessary for people who live in houses with yards or easy access to outside. Where it might make sense as a potential add-on to your training program is for clients with a small breed who live in upper floor apartments and may be considering paper training or other indoor solutions already. Similarly, if clients are having trouble with traditional crate training, the PTPA might be another option for them to consider. For the urban dog trainer who deals with many small dogs who live indoors, adding the PTPA to your arsenal of potential solutions for clients is a smart decision.